« Diabetes Look Back – May/June 2014 plus Dario sneak preview. What is the Medtronic Junior Cup Diabetes? 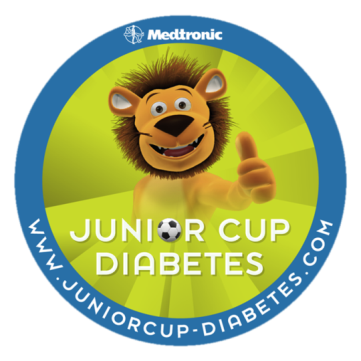 The Medtronic Junior Cup Diabetes is a ‘World Cup’ for children with Type 1 diabetes aged between 10 and 14. 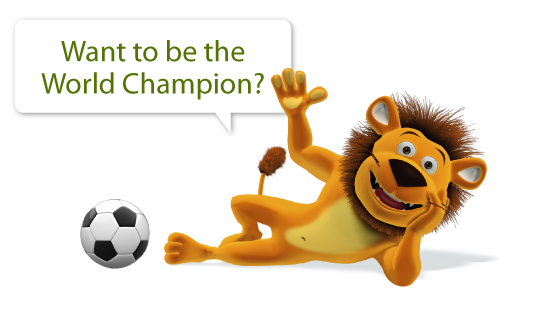 Lenny the lion has invited 12 Countries to compete in a 7 aside football tournament to determine which team is the best football side in the world. The UK team this year are all Insulin Pump users as the aim is to raise the awareness about the benefits that insulin pumps and in particular Sensor Augmented Pump therapy (SAP) can give to young children and teenagers. When and where will this year’s Junior Cup take place? The 2014 competition will take place from the 22nd- 24th August in the Sports Centre Papendal in Arnhem, Holland. The Sports Centre Papendal is used by the Dutch National Olympic Committee, Netherlands Sports Federation and is the training complex for the Dutch side Vitesse Arnhem. How can you support the UK team at this year’s Medtronic Junior Cup Diabetes 2014? Please show your support for the 11 boys and girls players and help us to raise the awareness about Pump therapy amongst young children and teenagers. You can do this by blogging, tweeting and posting on your Facebook pages about the 11 boys and girls playing and their experience. These 11 children are role models for other children to show that having type 1 diabetes does not prevent you from taking part in sport.